Take Your Medicine: Write Online! Decades of research have shown that writing about our deepest, darkest emotions makes us feel better. But what happens when we write about those feelings online? Patients with life-threatening illnesses must regularly process heavy emotions. Many patients and their caregivers turn to online health communities to get support and share their journeys. We partnered with CaringBridge.org – a large journaling platform that lets patients write about their health journey – to explore how expressive writing affects people’s engagement with their online community. 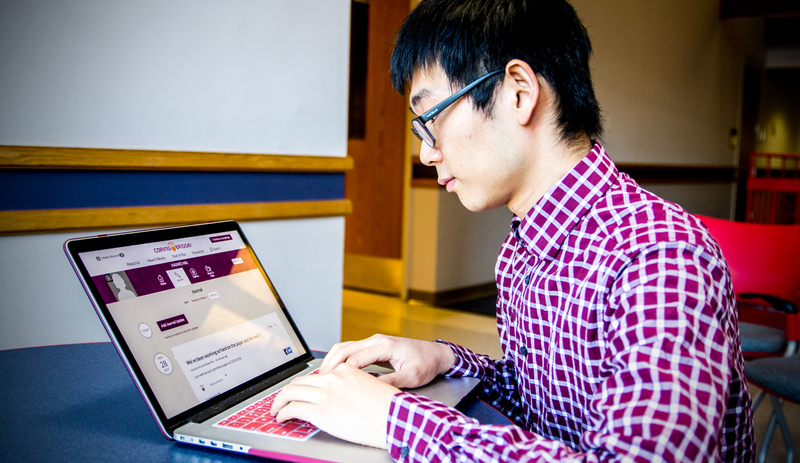 Haiwei demonstrates posting a journal update on CaringBridge. We know that when people first join a community, their early experiences affect how long they stick around. We hypothesized that people who write more expressively will stay longer. But how do we quantify expressive writing? These studies found that patients who “took their medicine” (i.e. followed the instructions) had better health outcomes. In particular, the more they wrote, the better they felt. Also, the more emotional words (like “happy”, “sad”, etc.) and the more cognitive words (like “accept”, “think”, and “know”) they used, the better the outcomes. 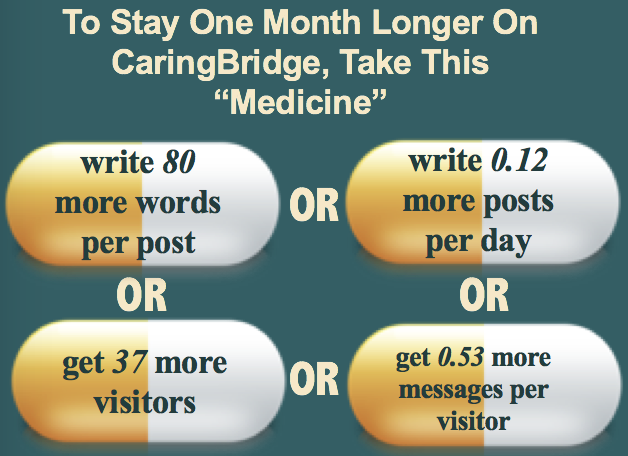 In our study, we quantified these characteristics during users’ first month as CaringBridge members. We measured how frequently they wrote journal updates, how long those updates were, and what types of emotional and cognitive words they were using. Using techniques from Machine Learning, Natural Language Processing, and Statistics, we collected some fascinating results about how the behavior of expressive writing predicts that CaringBridge users will stay engaged on the site longer. We were surprised to find out that emotional words don’t seem to impact user engagement. In fact, positive emotional words don’t affect outcomes, while using more negative emotion words is (slightly) harmful to continued engagement. On the flip side, using cognitive words helps engagement. The strongest predictor, however, is “taking a bigger dose of medicine” (i.e. writing longer and more frequently). Check out our full CSCW 2018 paper [PDF File], “Write for Life: Persisting in Online Health Communities with Expressive Writing and Social Support.” And next time you want to engage community members, consider designing mechanisms that encourage expressive writing online!